Please join us as we welcome New York Times Best Selling author Hallie Ephron to the Nevins Library! Lissie Woodham was only seven years old when her little sister Janey disappeared. They had been in the front yard, playing with their dolls, custom creations made for them by their mother Miss Sorrel, a famous dollmaker. Lissie wandered off for a moment. When she returned to the yard, Janey was gone, and so was her doll. 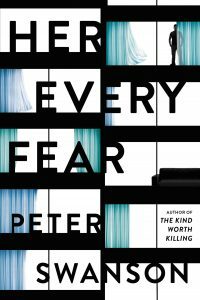 Now an adult with a college-aged daughter of her own, Lis has never stopped blaming herself for what happened, and it continues to haunt her. Every year on the anniversary of Janey’s disappearance, Miss Sorrel places a classified ad in the local papers with a picture of Janey’s one-of-a-kind doll, offering a cash reward for its return. Never, in all these years, has anyone brought her a doll that could be Janey’s—until now. Four decades after Janey went missing, a woman responds to the ad with a broken porcelain doll. What begins as a small clue in a tragic cold case turns into something far more sinister. The women in Miss Sorrel’s family may be in danger, because whoever knows the truth about what happened all those years ago will do anything to keep it hidden. Ms. Ephron is also the author of Night Night, Sleep Tight and four other mystery books. Copies of her books will be available for purchase and signing. 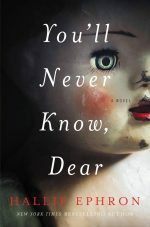 Categories: Author Visit, Books, Mystery | Tags: Author Visit, Hallie Ephron, mystery, You'll Never Know | Permalink. We are thrilled to welcome back the delightful, funny and engaging Bestselling Author, Randy Susan Meyers. She will be here to talk about her latest book, The Widow of Wall Street, a provocative novel about the seemingly blind love of a wife for her husband as he conquers Wall Street, and her extraordinary, perhaps foolish, loyalty during his precipitous fall. Phoebe recognizes fire in Jake Pierce’s belly from the moment they meet as teenagers. As he creates a financial dynasty, she trusts him without hesitation–unaware his hunger for success hides a dark talent for deception. When Phoebe learns her husband’s triumph and vast reach rests on an elaborate Ponzi scheme her world unravels. As Jake’s crime is uncovered, the world obsesses about Phoebe. Did she know her life was fabricated by fraud? Was she his accomplice? While Jake is trapped in the web of his deceit, Phoebe is caught in an unbearable choice. Her children refuse to see her if she remains at their father’s side, but abandoning him feels cruel and impossible. From penthouse to prison, with tragic consequences rippling well beyond Wall Street, this novel exposes a woman struggling to survive and then redefine her life and marriage as everything she thought she knew crumbles around her. Meyers is also known for her novels The Murderer’s Daughter, The Comfort of Lies, and Accidents of Marriage. Copies of her books will be available for purchase and signing. Refreshments will be available. 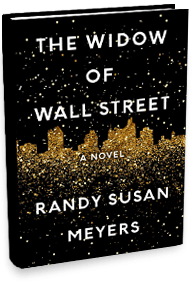 Categories: Author Visit, Books, Women's Fiction | Tags: Author Visit, Randy Susan Meyers, Widow of Wall Street | Permalink. Bestselling author Kate Larson coming to the Nevins Library! on September 26th @ 7:00 PM. Do you know the story of Rosemary Kennedy, the eldest daughter of Joe and Rose Kennedy? Come hear Kate Larson, author of the book “Rosemary: The Hidden Kennedy Daughter, tell us Rosemary’s story. Kate Larson brings Rosemary alive as a girl adored but left far behind by her competitive siblings. She reveals both the sensitive care Rose and Joe gave to Rosemary and then—as the family’s standing reached an apex—the often desperate and duplicitous arrangements the Kennedys made to keep her away from home as she became increasingly difficult in her early twenties. Finally, Larson illuminates Joe’s decision to have Rosemary lobotomized at age twenty-three and the family’s complicity in keeping the secret. Copies of the book will be available for sale after the talk. Click here to register for this exciting author program. Categories: Author Visit, Biography/Autobiography, Non Fiction, Programs | Tags: Author Visit, Kate Larson, Rosemary Kennedy | Permalink.